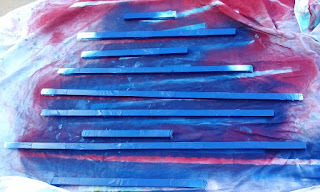 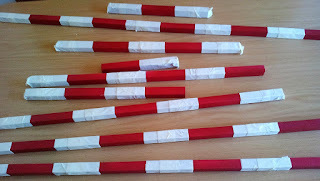 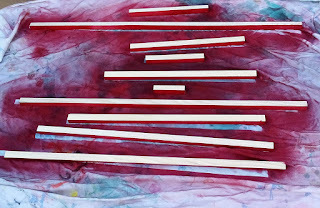 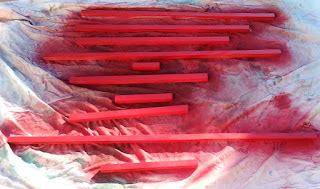 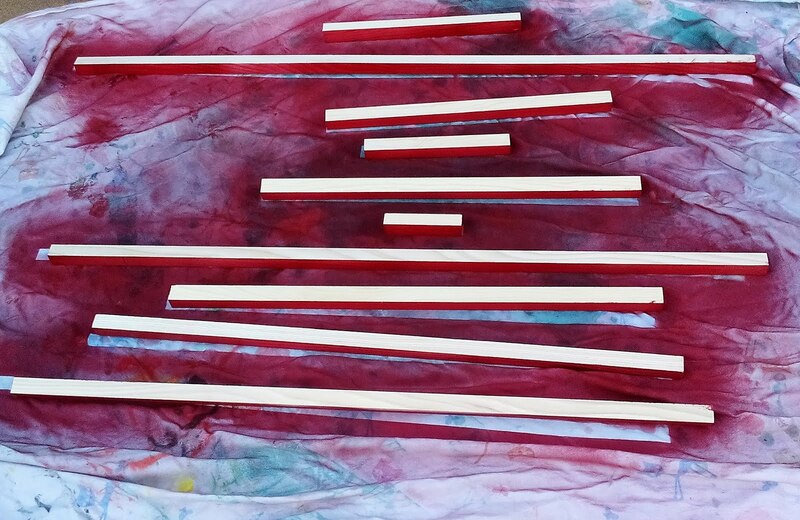 With the painter's tape cover the stripes that will be red so that you can paint the blues ones. 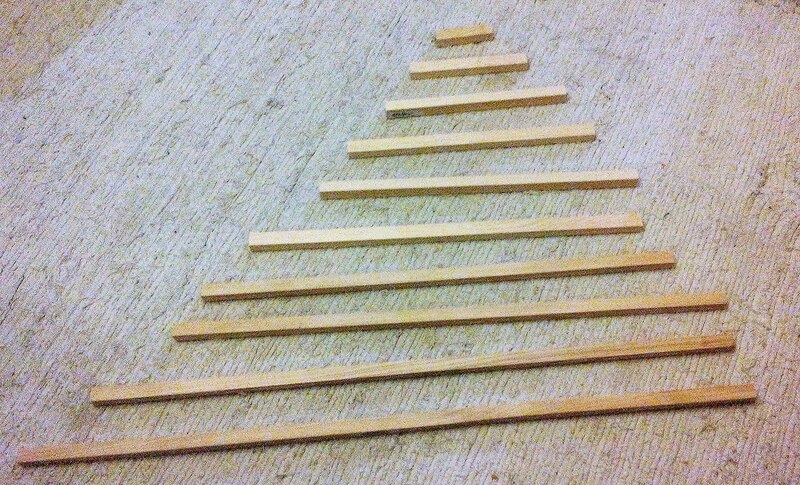 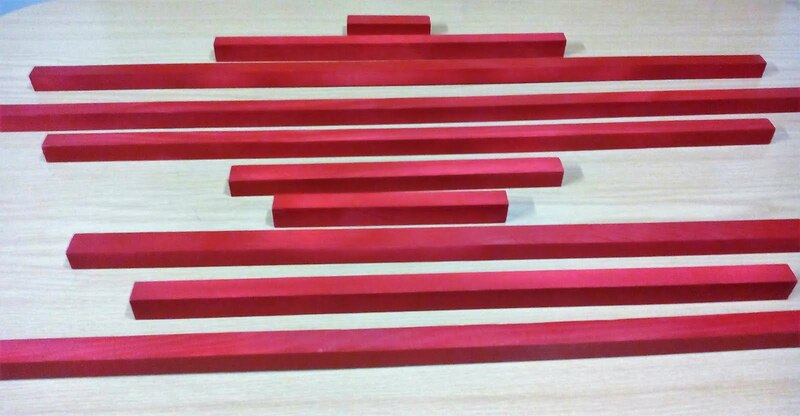 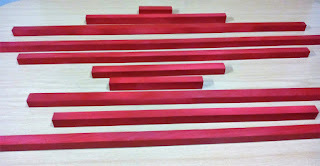 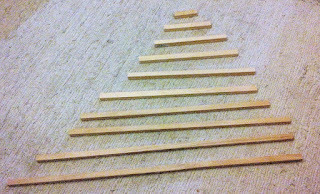 The bar of 10 cm we stay as it is, because it needs to be red. 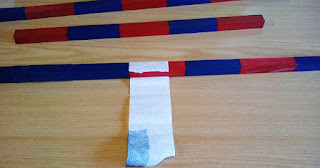 The 20 cm will have the first 10 cm stripe red, cover it with painter's tape and the second strip of 10 cm will be blue so don't cover it. 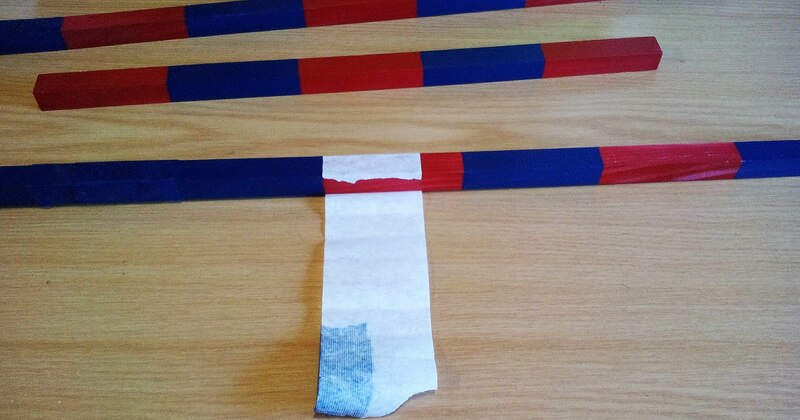 Once they are dry, remove the painter's tape.